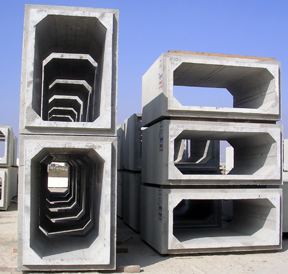 Flexible in design and durable, Pro-Cast products reinforced concrete box culverts (RCB’s) can be customized to fit almost any size or configuration needed for your project. 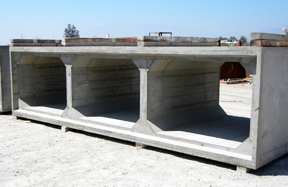 Concrete box culverts are a proven solution for unusual load conditions, space limitations, or specific waterway requirements. 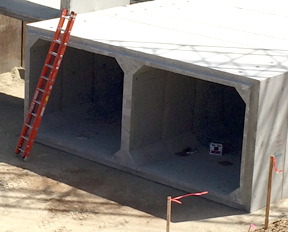 Our precast culverts are faster, safer, and easier to install than cast-in-place systems withstanding poor field or weather conditions. 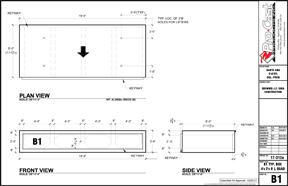 If placed along road ditch turn-outs, concrete box culverts can help maintain a steady velocity and the proper flow capacity for the road ditches by efficiently channeling water from them. This will help alleviate roadway flooding, reduce erosion, and thus reduce overall maintenance problems.